It's hard to imagine today, but St. Clair West used to be dotted with movie theatres 50 years ago. 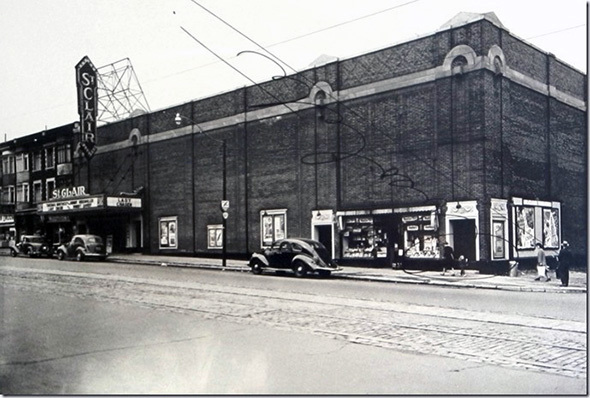 In fact, the entire city was far more populated with cinemas prior to the birth of cable TV and the multiplex. Known as nabes, these mom and pop businesses were neighbourhood staples (hence the name) and could be found in far greater supply than today. 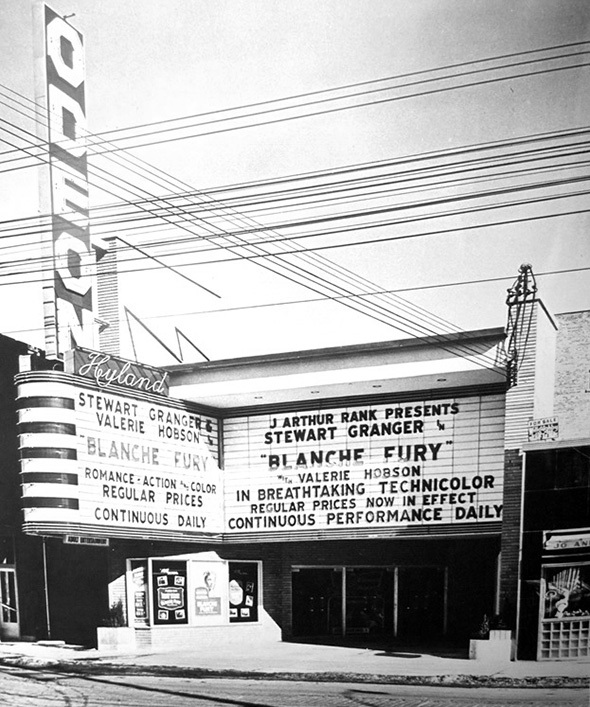 A street like St. Clair West, for instance, was a hotbed for cinemas between the 1940s and 1970s, and many of the original buildings that housed these theatres remain today. They've been repurposed, of course, but if you know where to look, you can spot the remains of cinema's glory days all along the street. This is perhaps surprising given the manner in which movie theatres have been consolidated around transportation hubs and in suburban areas today. 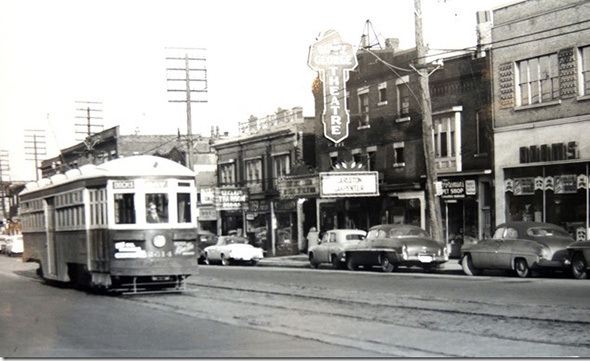 The streetscape is certainly worse off for the disappearance of the old theatres' dazzling marquees, which provided a healthy dose of pomp and energy along otherwise mild mannered strips like St Clair West. Odeon Hyland Theatre on Yonge St. just north of St. Clair. This theatre was demolished in 2003. 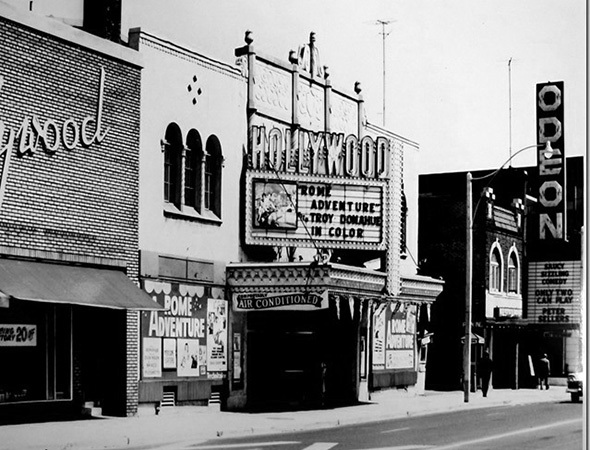 The Hollywood Theatre was located immediately north of the Hyland on Yonge St. immediately south of Heath. It closed in 1999. 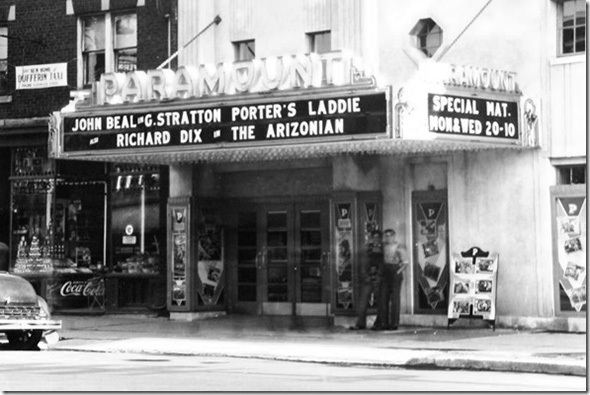 Paramount Theatre -- located at 1069 St. Clair Ave. West between Oakwood and Dufferin (now a dry cleaning shop). 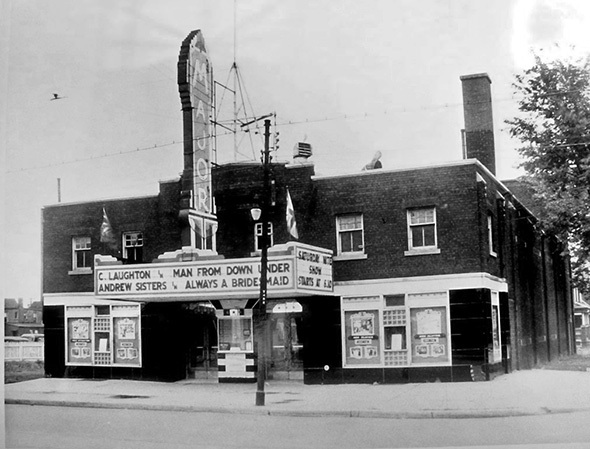 The St. Clair Major Theatre was located at 1780 St. Clair Ave. West. It is now a religious institution marked by an iconic Jesus Saves sign. The St. Clair Theatre was located just east of Dufferin on the north side of the street. It now houses the Big Slice. 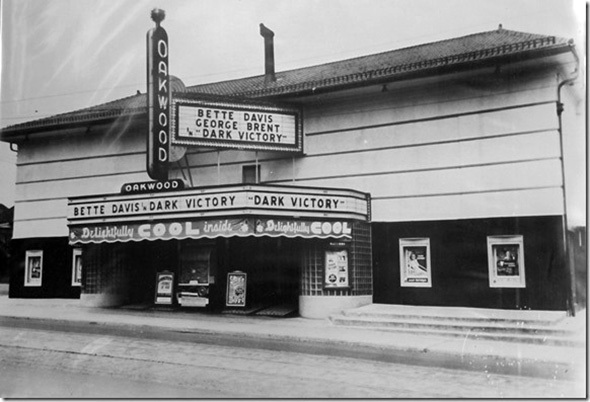 The Oakwood Theatre was located immediately north of St. Clair on the east side of Oakwood. The building now houses a Mac's Milk. The Royal George Theatre was located at 1217 St. Clair Ave. West. The facade has since been completely rebuilt, though you can almost make out the old theatre when you have a historical photo for reference. 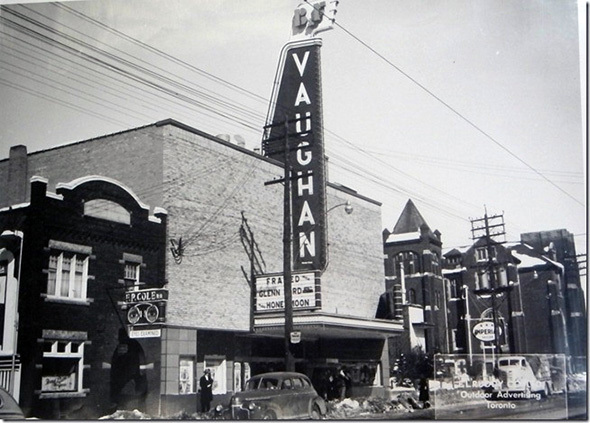 The lead photo depicts the Radio City Theatre, which was located on Vaughan, just south of St. Clair on the east side of the road. A Dollorama now occupies this site. Photos from the Toronto Archives.